Crystalline Silica is one of the most abundant minerals in the earth and is a basic component of soil, sand, granite and many other minerals. There are three main forms of crystalline silica, Quartz, Cristobalite and Tridymite. Quartz is the most common form of crystalline silica. All three forms of crystalline silica may become respirable size particles when workers undertake high-energy operations such as mining, quarrying, fracturing, crushing, hauling, carving, polishing, sawing, drilling, sanding, shaping, chipping, cutting or grinding any materials or products that contain crystalline silica. 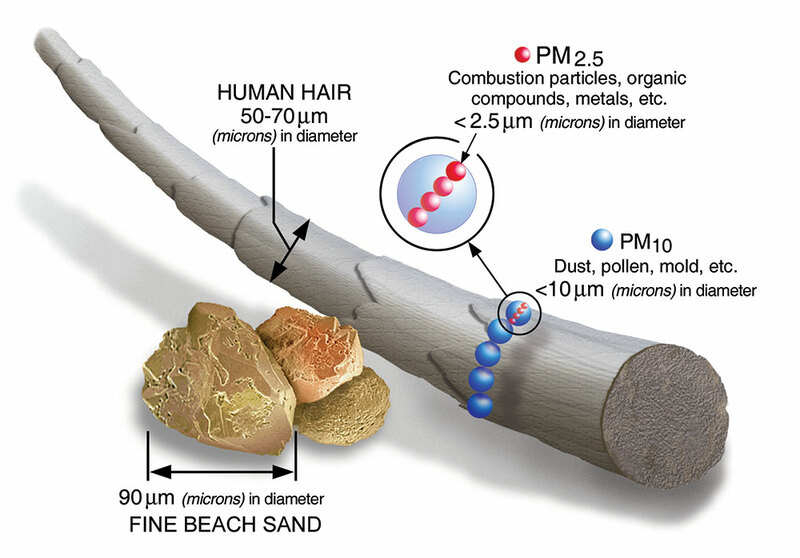 Respirable crystalline silica particles are particles that are smaller than 10 microns in size, enabling these particles to reach deep into the human lungs. Workers exposed to respirable crystalline silica can experience serious disease and ill health as the result of breathing in respirable crystalline silica dust. The seriousness of the adverse health hazards associated with respirable crystalline silica exposure is demonstrated by the disabling illnesses and diagnosis of silicosis that continues to occur in Australia. Crystalline silica is a classified Group 1 human carcinogen (IARC 1997). Silicosis is a preventable lung disease triggered when respirable size dust particles containing crystalline silica enter the lungs and causes the formation of scar tissue, thus reducing the lungs’ ability to take in oxygen. Workers exposed to respirable crystalline silica are also at greater risk of developing other debilitating diseases, such as: Tuberculosis, Renal failure, Scleroderma and Chronic Obstructive Pulmonary Diseases, including bronchitis, emphysema,pulmonary hypertension and lymph node fibrosis. Typical silica levels can vary greatly in different materials. Sandstone is almost pure silica at between 70-90%, granite is around 15-30% silica and engineered stones 93% +. Workers exposure to respirable crystalline silica in the workplace is completely preventable, however, once workers are diagnosed with lung diseases such as silicosis it is debilitating as there is no cure for silicosis. Respirable Crystalline Silica exposure is a serious issue and the exposure can also increase the risk of other serious adverse health conditions developing. The below are caused through exposure to crystalline silica. (All of these are preventable through protecting workers, workplace controls to prevent workers exposure and vigilant, rigorous and ongoing workplace airborne contaminants monitoring and worker health surveillance). This is the most common form of silicosis and usually occurs after a long period of exposure; typically 10-30 years of low to moderate dust exposure to Respirable Crystalline Silica, as the silica dust causes lungs and the lymph nodes to swell. The symptoms of Chronic Silicosis may not be evident without a chest x-ray but as the disease progresses, those suffering will experience shortness of breath and cough. Later stages may lead to fatigue, extreme shortness of breath, chest pain and ultimately respiratory failure. Accelerated Silicosis develops 3-10 years after first exposure of moderate to high concentrations of respirable crystalline silica. Symptoms and x-ray findings are similar to chronic silicosis, but occur earlier and tend to progress more rapidly. Workers diagnosed with accelerated silicosis are at greater risk for complicated silicosis, including progressive massive fibrosis (PMF). Silicosis can become complicated by the development of severe scaring, where the nodules of the lungs gradually become confluent (merge together). Progressive massive fibrosis (PMF) is associated with more severe symptoms and respiratory impairment. Other lung diseases, such as tuberculosis, fungal infections and lung cancer, can also complicate silicosis. Acute silicosis develops in a few weeks to 3 years after exposure to extremely high concentrations of respirable crystalline silica. Symptoms of acute silicosis include more rapid onset of severe disabling shortness of breath, severe cough, weakness and weight loss, which often leads to death. The MAQOHSC WHS Legislative Airborne Contaminants and Health Monitoring Gap Analysis Tool is designed as a practical and proactive means for an organisation. The aim of this Guidance Material is to provide Persons Conducting a Business or Undertaking (PCBUs) and workers with practical guidance on the selection and use of suitable and adequate respiratory protective equipment (RPE) in the workplace. All workers exposed to respirable crystalline silica must be fit tested to protect them from occupational dust exposure that can cause adverse respiratory health issues. To select the appropriate respiratory protective equipment for activities where there is a risk of inhalation of airborne contaminants entering into the nose, mouth and/or lungs. The MAQOHSC Training and Qualifications Register is designed as a practical means for an organisation to keep accurate records of scheduled and completed training for all workers, inclusive of contractors.